We eat caprese with homegrown tomatoes and basil weekly in the summer. This is a fresh twist on the classic, incorporating some Mexican ingredients. Serve it as an appetizer to fish taco night or by itself for a quick summery meal. I used a spicy olive oil from Pomora. If you haven't checked out their quarterly deliveries of fresh oils, make sure you do! It's the best oil that I have ever used and the concept is genius. Place mozzarella slices onto a plate. 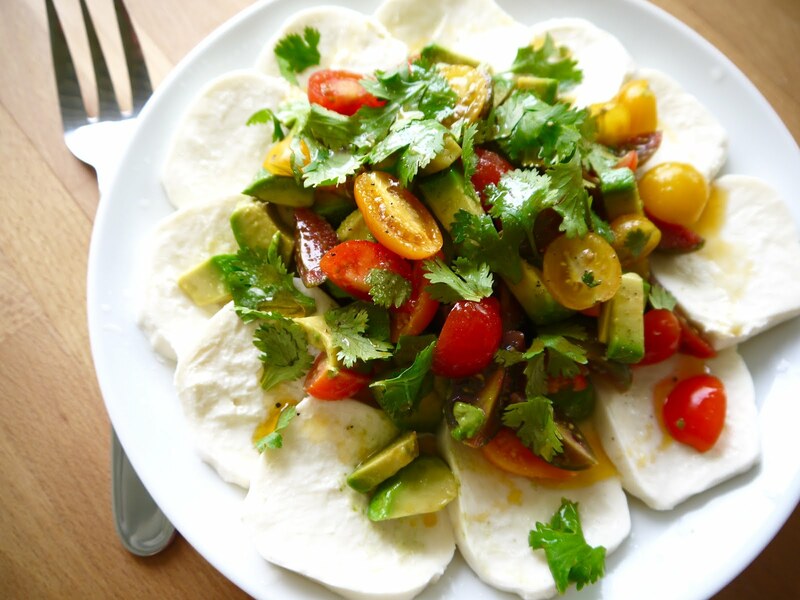 Combine tomatoes, cilantro, and avocado and place into the center of your plate. Drizzle mozzarella with oil and lime juice, then dust with lime zest. Sprinkle with sea salt and enjoy!